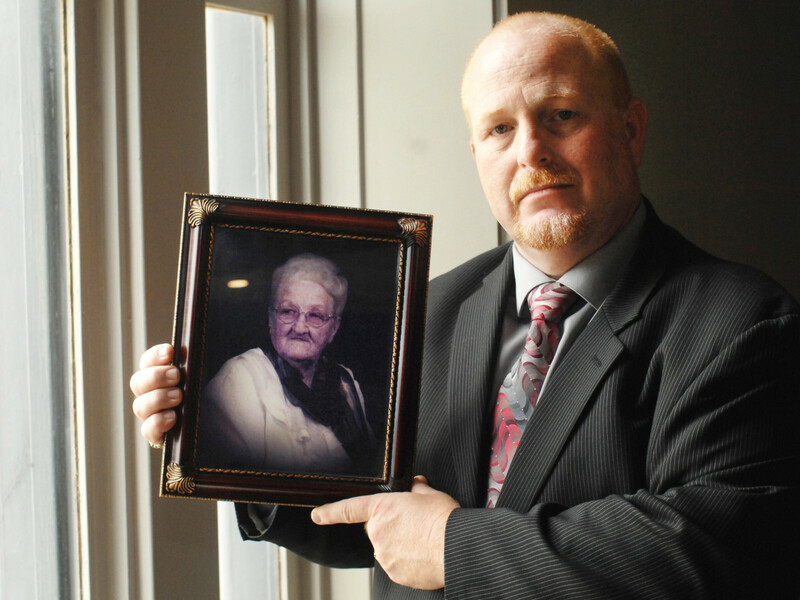 State long-term care ombudsman Bill Whited, holding a picture of his grandmother, Pearl Wolf. In the summer of 2013, Pearl Wolf, 93, got sick and went to the hospital. After watching her health decline, her family decided to place Wolf in a nursing home. “She was really starting to deteriorate,” her grandson, Bill Whited, said. The family decided to place Wolf in Rose Manor in Shawnee. Located near Wolf’s house, the facility accepted Medicaid and Medicare patients and Whited considered its staff excellent. The family hoped Wolf would get well enough to return home. Then a dilemma arose. Rose Manor, owned by Grace Living Centers, gave Wolf’s family a pack of documents to sign, including a four-page agreement requiring the family to submit to binding arbitration if Wolf or her family had a disagreement related to care. That meant the family couldn’t sue in court, and damages awarded would likely be less. Needing to find a nursing home quickly, Whited’s family signed anyway. Across the state, hundreds of other families often face the same situation. Although arbitration agreements with nursing homes are invalid under state law, many homes still require them as part of their admission packet, arguing the pacts are allowed under federal arbitration law. 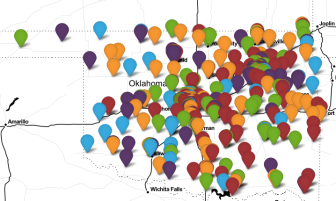 Whited said his research shows a “substantial portion” of Oklahoma’s 312 nursing homes or facilities are requiring the elderly or their families to submit to binding arbitration as a condition for being admitted. Many families aren’t aware such agreements violate state law, he said. That means some families enter arbitration to resolve issues that could be dealt with instead by a jury or judge. Arbitration rulings also are confidential and cannot be appealed. State Rep. Richard Morrissette, D-Oklahoma City, who has authored nursing-home bills, said the nursing home industry uses arbitration agreements because they help protect facilities when they provide lower quality care. Nursing home industry officials would not comment at length about the use of arbitration agreements. However, legal experts say arbitration agreements are commonly used in business and industry to resolve disputes. Oklahoma City attorney Robert Sheets, who specializes in business litigation, said arbitration agreements prevent most appeals to courts and can prove less expensive for both parties. Letters obtained by Oklahoma Watch show that since 2002, officials at the Oklahoma State Department of Health and the Oklahoma Health Care Authority have warned nursing home operators that arbitration agreements could not be used as a condition to admit residents into their facilities. Huser’s letter said mandatory arbitration agreements could not be used as a condition to admit a resident to a nursing home. Also in 2006, the Oklahoma Supreme Court upheld state laws making arbitration agreements with nursing homes invalid when the agreements cite only state law. The court also found that the provision of Medicare payments to nursing homes does not constitute interstate commerce, the main trigger for applying the Federal Arbitration Act. Despite the law and pushback from two state agencies, Whited, who is surveying nursing homes’ admission policies, said the use of arbitration agreements continues to grow. Some agreements now cite federal and state laws as a legal basis. Sheets, the attorney, said the use of arbitration agreements by a nursing home could help limit its financial exposure if the facility were sued for abuse or neglect. State officials continue to maintain that agreements are not allowed in nursing homes. Mike Cook, director of long term care services for the health department, acknowledged that many nursing homes continue to use arbitration agreements but said those agreements are void under state law. Cook said his department works to ensure that nursing homes are in compliance with federal and state rules and regulations. He said his staff performs more than 2,000 inspections a year and when a deficiency is found, the facility is given the opportunity to correct the problem. 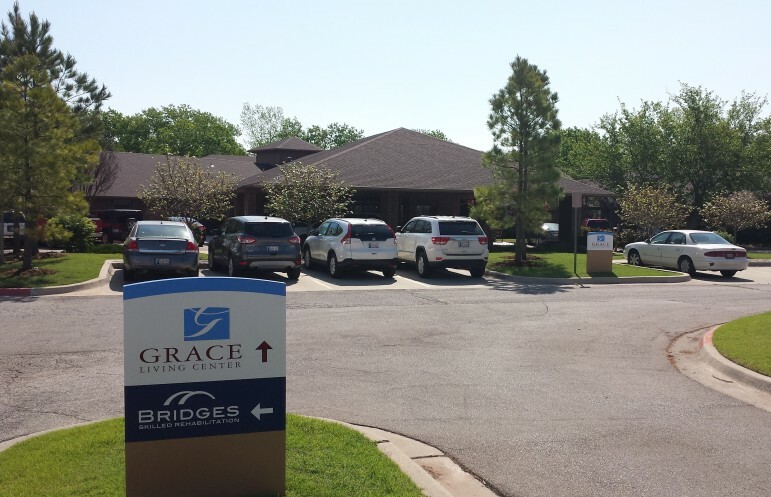 The Grace Living Center in Norman is defending itself in a lawsuit filed by family members of a resident who assert they are not bound by an arbitration agreement and can proceed with a negligence claim. A new legal front opened in recent years in the battle over whether nursing-home arbitration pacts must be followed. In 2011, the family of Cleo Boler sued Grace Living Center of Norman and the nursing home chain’s owners, Don Greiner and Mike Dimond, alleging the facility injured and neglected Boler and rendered “medical and nursing treatment below accepted medical and nursing standards.” The poor care, Boler’s lawsuit said, resulted in a fractured hip, infections, dehydration, malnutrition and pressure ulcers. The family is seeking more than $75,000 in damages. Grace Living Centers has denied negligence. The family also sought to break the arbitration agreement signed by Boler’s daughter, Judy Little. A court affidavit signed by Little said she was told if she did not sign the admission agreement and the pages requiring binding arbitration, her mother would not be admitted to the nursing home. “I felt I had no choice but sign the admission agreement,” Little said. Little said officials at the nursing home did not explain any part of the agreement, which Grace Living Centers denies. The agreement included clauses allowing the nursing home to place a lien on her mother’s property and to sue Boler or Little in court for non-payment. The agreement also required Little or her mother to pay the nursing home’s attorney and arbitrator’s fees if they lost the hearing. “We cannot sue the nursing home if they injure or kill my mother and cannot take the nursing home to court to have our claim for negligence or wrongful death heard by a jury,” Little said. In an appeal to Oklahoma’s Supreme Court, Grace Living Centers argued that since Boler’s family signed the arbitration agreement, that agreement extended to them after she died. The nursing home’s attorneys said the arbitration agreement should be upheld because the agreement was enforceable under the Federal Arbitration Act, which pre-empts state law. Boler’s family, Grace Living Centers said, had no personal claim against the nursing home. Those claims would fall under the arbitration agreement with Cleo Boler, they said. The state’s high court disagreed. Writing for the majority, Justice James Edmondson said the arbitration agreement did not apply to Boler’s family. Since then, Grace Living Center has asked the U.S. Supreme Court to review the case. The request is pending. Boler’s attorney, Ray Maples of Edmond, said many times nursing home residents and their families are given stacks of documents and simply told to sign them. In Boler’s case, the admission agreement also included language that arbitration agreements were enforceable and favored by Oklahoma courts. Maples said that statement contradicts state law. He said he has filed dozens of lawsuits in Oklahoma seeking to break similar agreements made by other nursing homes. Grace Living Centers officials and attorneys refused to speak about the agreements or their admission policies. Arbitration agreements and admission policies continue to generate complaints. A spreadsheet from the long-term care ombudsman’s office shows that the office received a total of 442 complaints about nursing home policies from 2012 through 2014. Those complaints relate to admission policies, planning and procedure and the discharge process. Rebecca Moore, executive director of the Oklahoma Association of Health Care Providers, said her organization doesn’t make recommendations about nursing home admission policies or track the number of facilities that use arbitration agreements as part of their admission requirements. “That a decision made by each individual facility,” she said. However, lobbyists for the association attempted this year to change a section of the state’s probate law to require residents of nursing homes and their families to submit to binding arbitration. That measure, Senate Bill 231, is currently dormant in a state House committee. The bill’s author, Rep. John Echols, R-Oklahoma City, said he wanted more time to review the subject. On March 24, about two weeks after Echols decided to hold SB 231, the Oklahoma branch of the American Association of Retired Persons announced its opposition to the bill. “SB 231 will make all arbitration agreements binding and prevent Oklahoma’s most frail and vulnerable residents and their families from seeking redress within the courts, even in situations of willful neglect or abuse resulting in serious injury or death,” Craig Davis, the AARP’s associate Oklahoma director, said in an email to Oklahoma Watch. Despite backing from state law and officials, the Boler family must wait on the U.S. Supreme Court before knowing whether they can move ahead on the negligence claim. For Whited and his family, the stress over deciding whether to sign the arbitration agreement was capped off with something more sorrowful: Weeks after arriving at Rose Manor, Pearl Wolfe died. The family was pleased with her care, Whited said, but the arbitration issue still rankles him. Reach reporter M. Scott Carter at scarter@oklahomawatch.org or (405) 673-7466.